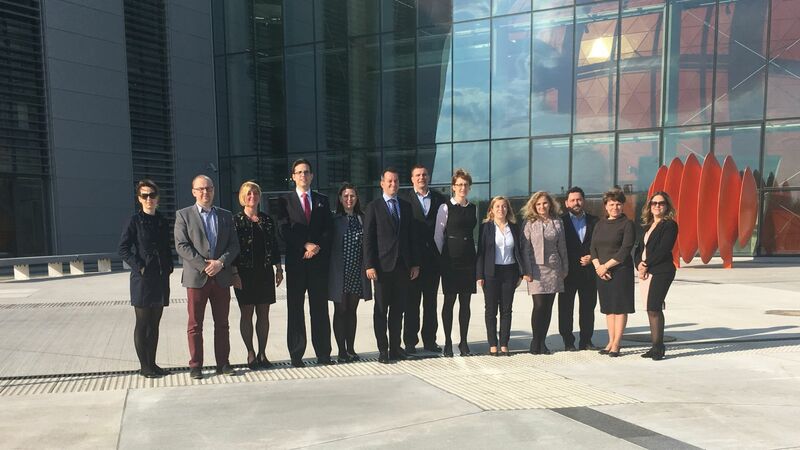 In the framework of a unique cooperation, Hungarian Investment Promotion Agency (HIPA), the Municipality of Budapest and the Real Estate Developers' Roundtable Association promote real estate investments in Budapest. Expo Real in Munich is an international trade fair for real estate and investment, described as "an unmissable business platform for the entire sector", where experts for the whole supply chain are present for every stage in the real estate life circle: from idea and conception through investment, financing, realization and marketing to operation and use. As the leading European B2B platform, EXPO REAL takes place in Munich every October. EXPO REAL has played host to the whole sector for three days every year since 1998. This year the 120 sqm, uniquely designed Budapest stand's aim is to gather the biggest players in the sector under one umbrella at a joint stand, which is an outstanding endeavour to become reality. The exhibitors all share the opinion that organizing a joint stand strengthens their position in the international fora and lends a synergy to the Hungarian sector. HIPA has expected the stand to be a bustling, exciting venue, where the relevant investors notice the already booming city of Budapest. This expectation has been visibly fulfilled. 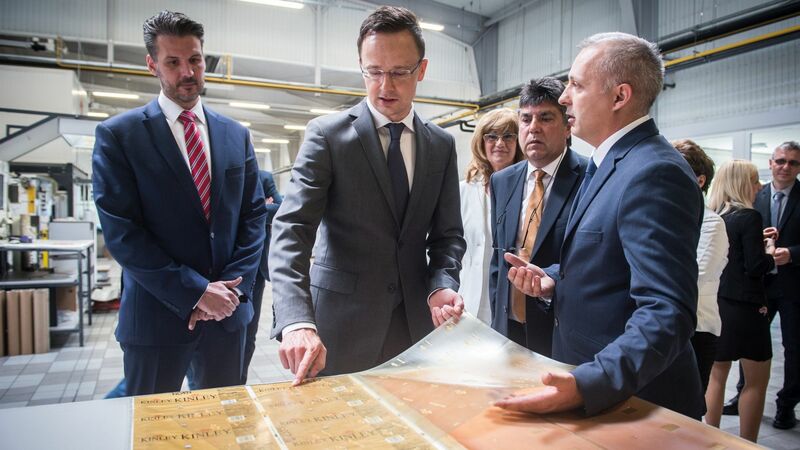 An increasing attention is paid to Hungary and more and more inquiries are made by investors, the projects are sold at an unprecedented pace. The urban development project is considered a very interesting initiative by the organiser of Expo Real, thus one of the projects of Budapest will likely be included in the programme at the next exhibition. Numerous talks have been conducted with a number of investors and developers who feel the traditional European market is saturated and are looking for opportunities, such as Budapest, where advanced infrastructure and dynamically developing tourism meet, the office market thrives and, at the same time, they are able to do business still at a favourable entry price and reasonable profits. At the panel dicussion professional players of the real estate scenery have stated that Hungary is back on the real estate map as an attractive invesment location with secure legal and economic background, yield opportunities attracting more and more American, German and international investors again. This view was also supported by KPMG partner, Michael Carlson. The Budapest stand this year hosted two roundtable discussions. One focussed on the significant impacts of international sports events and tourism on the real estate market, while the other dealt with the Budapest office development projects which are thriving and cannot be realized fast enough to meet the demand of exisiting and newcoming tenants. The project presentations of the companies exhibiting at the stand provided in-depth overviews of their state-of-the-art on-going or future projects in the residential and commercial (office, industrial, logistics, hotel) property market. Mr. Matty Ryan, Managing Director of Vistra, emphasised that the greatest achievement of HIPA at this year's event was to get the right people from the right companies and organizations together to form the greatest possible synergy to represent the Hungarian property market. Mr. René Droese, Property Director of Budapest Airport, pointed out the importance of the airport-related developments which can contribute largely to Hungary's tourism and economic growth in the long run. Expo Real has proven to be a very important forum for the participants, where they met a number of market players relevant to their activities and received a lot of positive feedback about the projects and the investment promotion activities of HIPA.